Membership websites have a whole mess of moving parts – plugins, themes, integrations, payment processors – they all add up to make memberships one of the most complicated types of sites that you can build. And even if you have help getting everything up and running, chances are there’ll be numerous times you’ll need a bit of tech support in the day to day running of your membership. But finding reliable help with the technical side of building and maintaining a membership can be a crap-shoot. In this episode of The Membership Guys Podcast, I run through some of the most viable options for finding tech support that you can rely on for different stages of your membership. Facebook Announce Paid Group Subscriptions. What Does It Mean For Memberships? On June 20th, Facebook officially announced that they are trialling the option for Group admins to charge a recurring subscription fee to their members. This is definitely a huge move, and one that capitalises on the fact that there are already many membership owners using Facebook Groups “unofficially” for their paid community. So what does this mean for the membership industry? Should we all pack up our things and move our memberships over to Facebook? 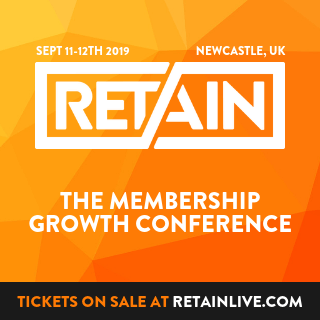 So your membership is ticking along nicely, you’re bringing in new members at a steady rate (and they’re sticking around too), you’ve got your systems and processes nailed and everything is running like clockwork. There are a few different paths you can take for growing and scaling your membership business; but in this episode I want to talk about my favourite approach, one that’s perfectly suited to the membership model. And that is creating an ‘ecosystem’ of products and services with your membership smack-bang at the heart of everything. Where Should You Host Videos For Your Membership Site? Most memberships in the online space feature some form of video content. But the question of where to host these videos continues to confuse many membership site owners. MemberPress has quickly become one of our favourite membership plugins due to its strong feature set and ease of use. In this review we’ll take a look at both the good and bad aspects of the plugin, including it’s features, cost, member management and user friendliness. Trying to pick the right WordPress membership plugin can be a painstaking process. It’s harder still if your expectations and understanding of what a membership plugin will and won’t do are unrealistic. In this episode I go through the 5 things you need to understand before you even start shopping for a membership plugin, in the hopes that it will make the whole process easier and save you some frustration. Choosing which domain name to host your membership site on should be a simple decision. But it’s easier said than done – as evidenced by the fact that this question comes up perhaps more than any other in both our free Facebook group and our own paid membership. And when you dig into it, it’s understandable why people struggle with this choice – as where your membership lives has greater implications than you might realise. 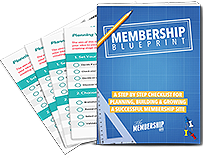 In this episode of The Membership Guys Podcast – I drill down into the pros and cons of each of these choices and give you all of the info you need to make your decision. Retention is king when it comes to membership sites. After all, for recurring revenue to be impactful, it needs to actually recur! We’ve talked several times on the blog and podcast before about ways to increase retention, and it’s definitely a topic that we could easily spend hours on! With our community of thousands of membership owners, we see the same patterns emerging when it comes to wrestling with membership site tech. People starting their site build and then 6 months later they’re still stuck, spinning their wheels, trying to get everything perfect and making no progress! Often they’ll blame this on the technology being too tough, but more often than not it’s because of their own unrealistic expectations. In this episode of The Membership Guys Podcast, I give a kick up the backside to anyone stuck with the tech side of building their membership site. Live content is a great way of delivering ongoing value to your membership without the level of upfront work and other hassles that typically go into producing courses, tutorials or other types of “pre-made” content. However including this type of content in your membership does add a new wrinkle to worry about – member attendance. If the turnout for your live membership calls is low, this can directly affect the quality of what you’re producing; not to mention being demoralizing to you and possibly even be discouraging for other members who may interpret poor attendance as a sign of a disengaged community.